s u r v i v ( A L ) House, designed by the University of Alabama at Birmingham and Calhoun Community College (Team Alabama), placed fifth overall at the U.S. Department of Energy 2017 Solar Decathlon. The team earned third place in the Home Life and Energy Contests. After the Solar Decathlon, s u r v i v ( A L ) House was reassembled on campus at 11th Avenue South and 17th Street in Birmingham. The house will be the central feature of a planned Urban Multisource Microgrid and Sustainable Neighborhood on campus, and will be open for tours and events in spring 2019. The UAB Urban Multisource Microgrid is a demonstration project that is expected to be a small-scale residential microgrid site that employs alternative and renewable energy generation, as well as advanced energy storage. The microgrid and sustainable neighborhood will be located on UAB’s campus, and the renewable energy systems will function off-grid. 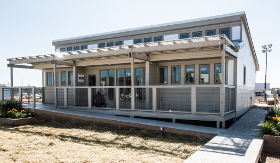 It will be used as a research tool and demonstration site for students and community partners to test emerging technologies and microgrid power systems in the context of small community and residential areas, specifically in humid subtropical regions. UAB’s microgrid will be the first neighborhood of its type in Alabama, and the only living lab of its kind at a college or university in the region. 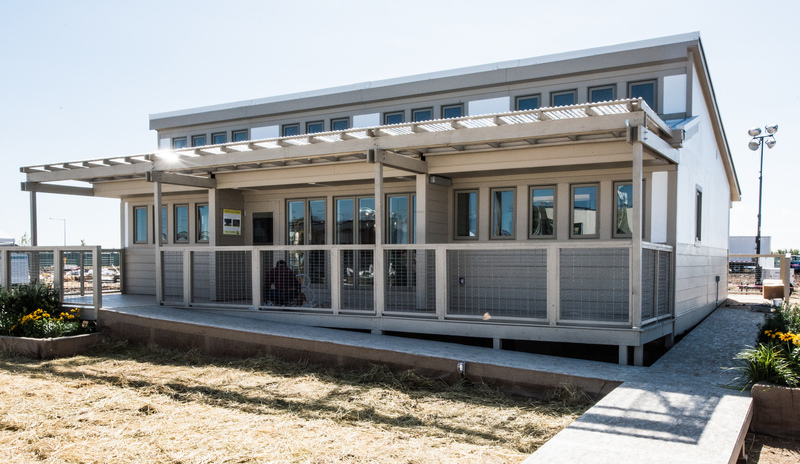 The site will house UAB’s 2017 Solar Decathlon competition house and several 200-square-foot homes for use in demonstrating small-scale net zero housing. Keep up with the house on the UAB site and the team’s Facebook page.